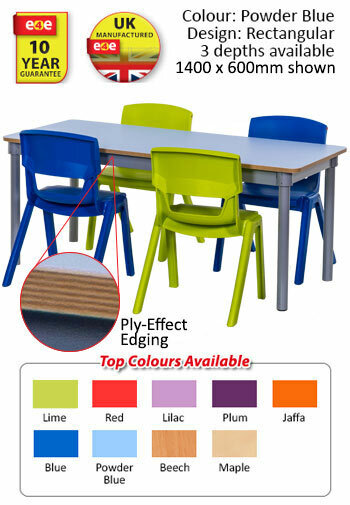 tilt top dining room tables, teachers' desks, height-adjustable tables, computer tables and desks and many, many more! 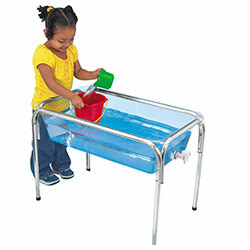 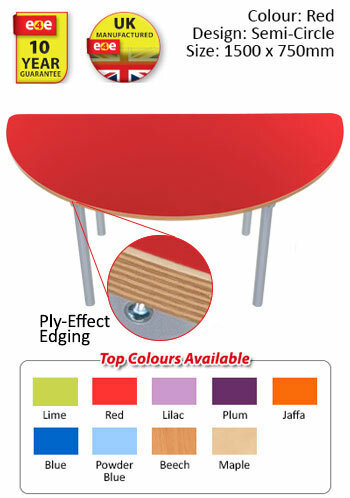 KubbyClass tables are manufactured with superior quality throughout, and are designed for safety and functionality. 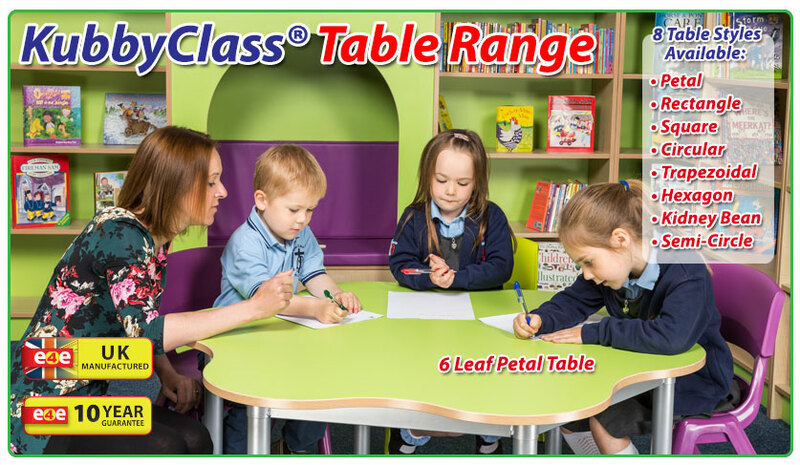 Each table comes with a full 10 year guarantee, so you'll find, that these solid, hardwearing quality tables are an excellent addition for any classroom setting. 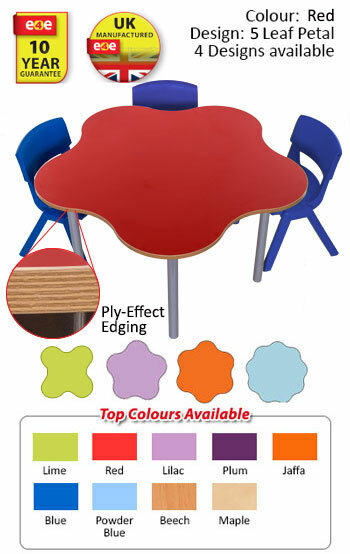 KubbyClass tables have a unique powder coated steel frame and are delivered fully assembled. 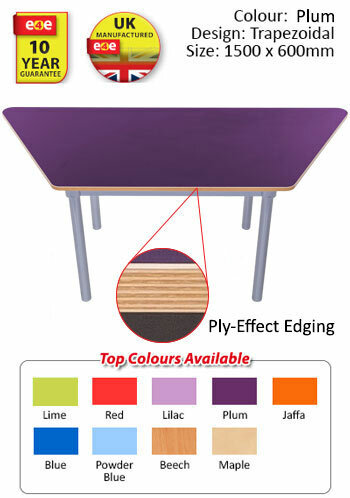 All tables are available in a choice of 7 different attractive colours (with Beech and Maple also available) All have the 2mm ply effect, PVC bump resistant chamfered edging. 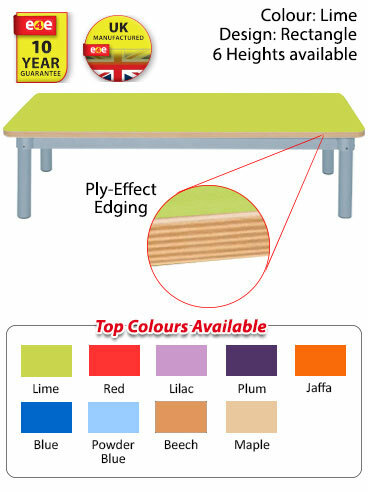 KubbyClass tables feature solid MDF tops, 18mm thick. 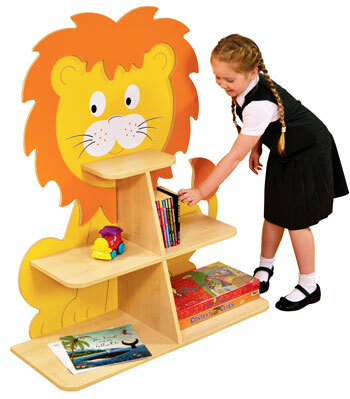  6 Heights to choose from - see below and choose the height required when ordering. 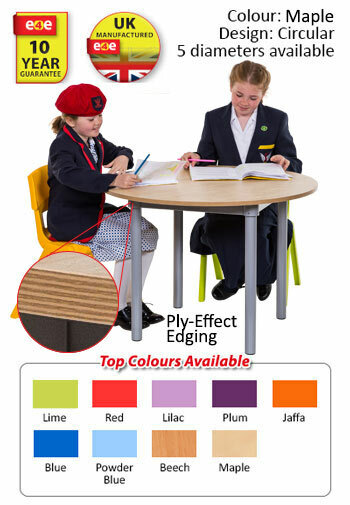 Want to see more of the KubbyClass Premium Range? 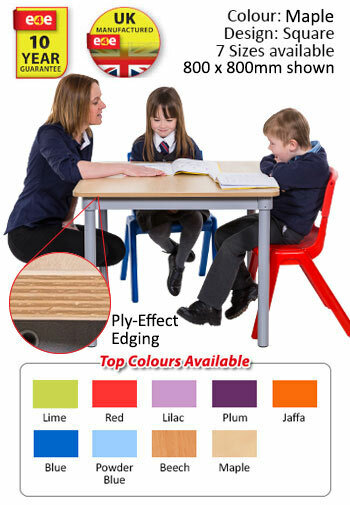 Click HERE to see the full range! 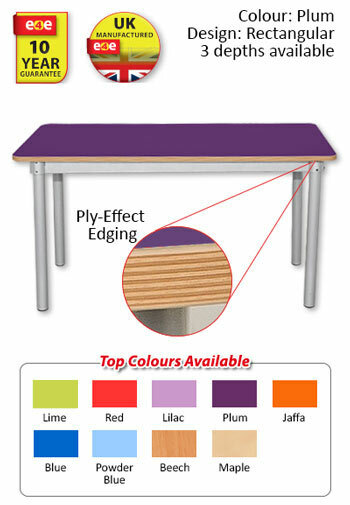 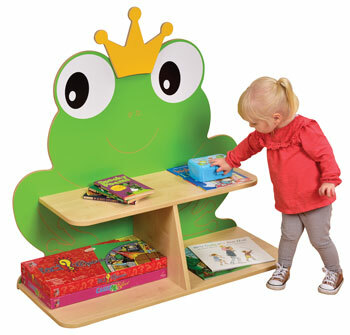 All table tops are manufactured from high quality solid MDF and feature a 2mm PVC bump resistant ply-effect edge. 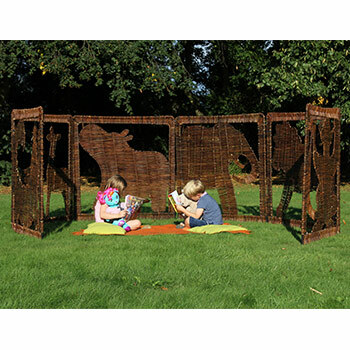 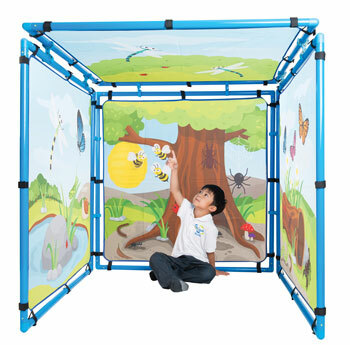 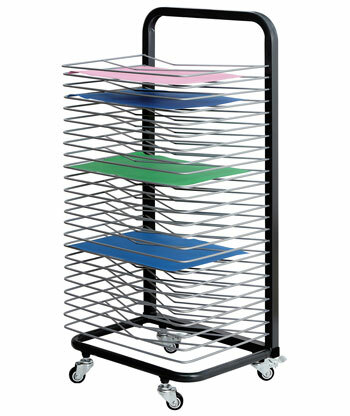 Frames are manufactured from steel and then powder coated for further durability. 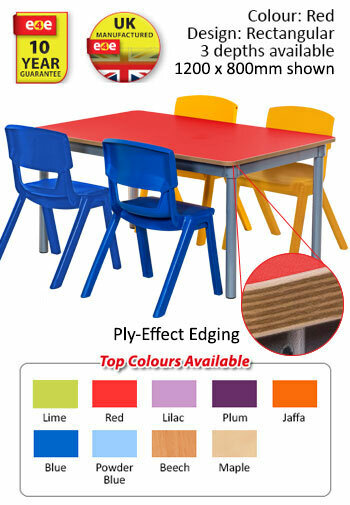  High quality, strong and sturdy benches to use with the rectangle tables. 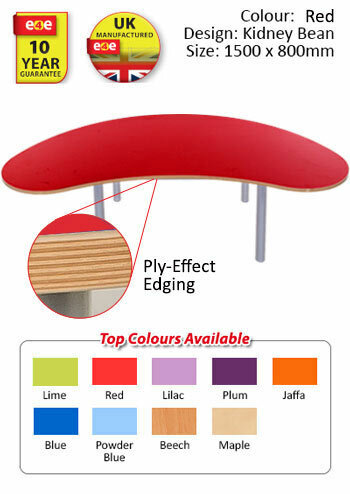  Also great for use in changing rooms and dining rooms. 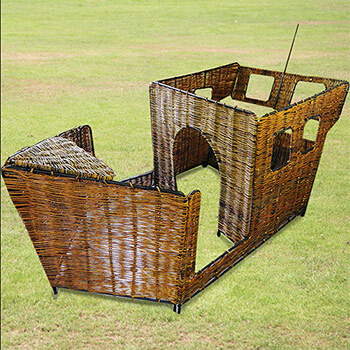 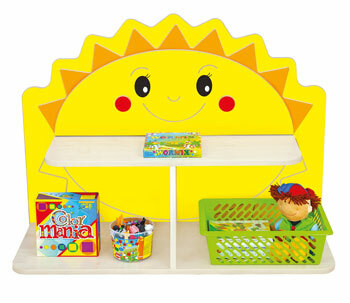 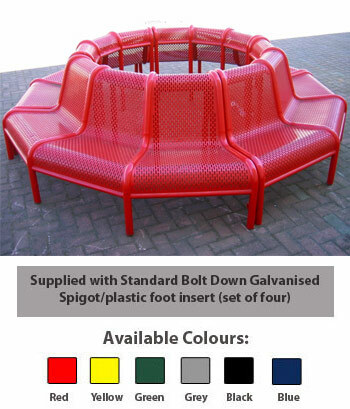  Benches arrive with seat top attatched to sturdy, specifically designed frame. 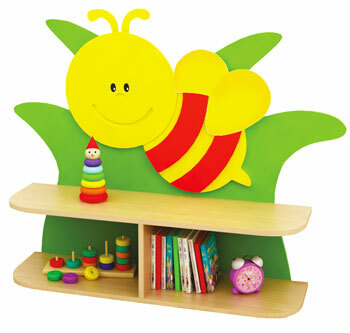 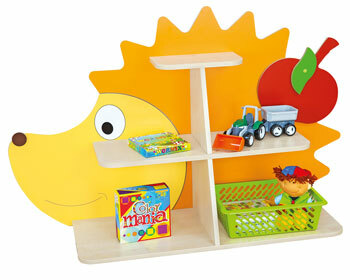 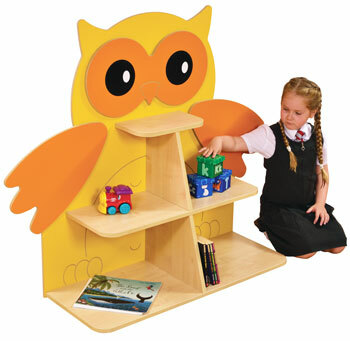 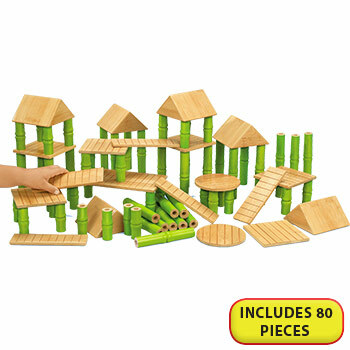 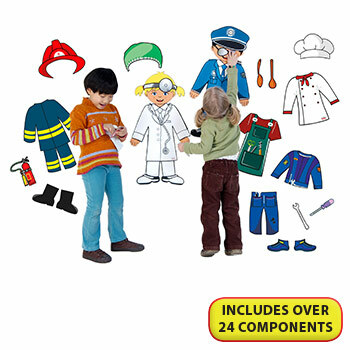 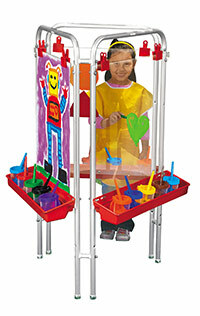  Choice of 6 heights and 7 different colour themes. 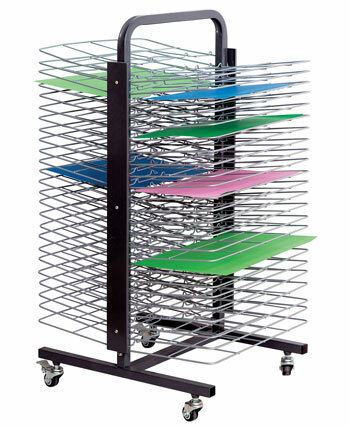  Available in 4 widths: 1000, 1200, 1300 and 1600mm. 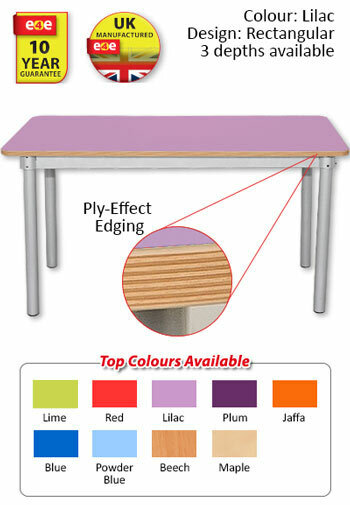  Available in a choice of 7 colour themes: lime, red, lilac, plum, jaffa, blue, powder blue, beech and maple. 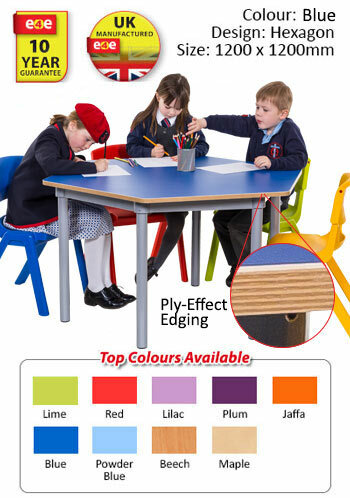  Includes a 10 year guarantee.